Don’t Miss The $20,000 First Home Owners Grant! The Queensland Government has announced that the $20,000 First Home Owners Grant will drop back to $15,000 on the 30th of June 2018. First home buyers still have time to secure the $20,000 before June 30 at our newest master planned community, Central Springs. Central Springs has a wide range of house and land packages that have been specifically tailored to first home buyers starting from just $352,900. Find out more at our Caboolture Land Sales Centres about how you can take advantage of the $20,000 First Home Buyers Grant! Acreage Living Near The City! We are seeing a growing trend in the number of people making the transition to acreage living, and why not when 4000sqm is priced from $224,900! Springbrook estate, located on former farmland in the foothills of Mt Mee, is proving popular with families looking for value and open space, while still seeking an easy commute to Brisbane. With 4 bedroom house and land packages on lots up to 4000sqm available from $410,000, swapping the rat race for a quieter country life has never been easier. Springbrook is located minutes from shopping in Woodford, education facilities and major transport hubs, offering many of benefits of the city in a more relaxed environment. The estate also offers high speed NBN access, extensive parklands, walking trails and its own spring-fed lagoon. Find your rural escape today! Wentworth Manor at The Lanes Estate is Now Open! The second display home at The Lanes estate in New Beith is now open! G.J. Gardner has introduced the Wentworth Manor, featuring 4 bedrooms, 2 bathrooms, and double garage. This thoughtfully designed home showcases the popular Manor Façade with a modern contemporary interior finish. It is the quintessential modern family home with cleverly designed spaces ideal for the growing family. This stunning home is open 7 days a week from 10am to 4pm at 390 Pub Lane, New Beith. Visit this brand new display home this weekend! When buying into a QM Properties community, you can be assured of the long-term quality of the estate due to our Quality Building Covenant, which is in place to protect your investment. The high quality of the streetscapes, home designs and manicured gardens in all QM estates are the result of our established Community Development Standards. QM’s Covenant Consultants offer buyers an invaluable post-sale service, drawing on nearly four-decades of industry experience to offer a wealth of advice on home plans, landscaping, pools, sheds, and fencing. The Covenant team also make regular visits to all estates to ensure that the quality and safety of our communities is being maintained, ensuring that buyers have the ultimate peace of mind when joining a QM community. Discover more about our Quality Building Covenant! Tuxedo Junction Has a Brand New Home and Land Sales Centre! Our brand new Tuxedo Junction Home and Land Centre is now open on Tuxedo Junction Drive. Large, NBN ready acreage lots are selling fast, sized up to 9213sqm and priced from just $375,000, with house and land packages available to suit a range of budgets. 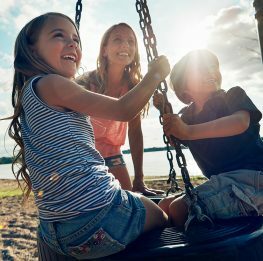 Tuxedo Junction is the perfect community for growing families, with a choice of private and state schools and all of your shopping needs close by. 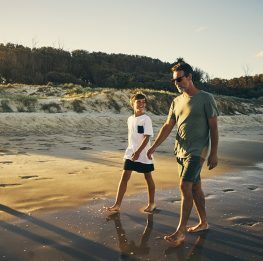 Surrounded by large areas of recreational parkland with creeks, lakes and walking tracks, Tuxedo Junction is just 10 minutes’ drive to the M1, 35 minutes to Surfers Paradise and a 45 minute commute to Brisbane. Visit our Home and Land Centre, open Saturday to Wednesday, 9am to 5pm. Just follow the signs off Maudsland Road!